Drive 4 UR School began in 2007 as a way for Ford to give back to communities across the country. The idea was simple: Test-drive a Ford vehicle from a local dealership, get money for your school. The success of the school program inspired the launch of Drive 4 UR Community, allowing Ford Dealers to partner with nonprofit organizations as well. Thousands of events and $35 million in donations later, participants are still test-driving for a cause that they - and Ford - are equally passionate about. The Lincoln Motor Company has a test-drive program as well called Driven to Give. 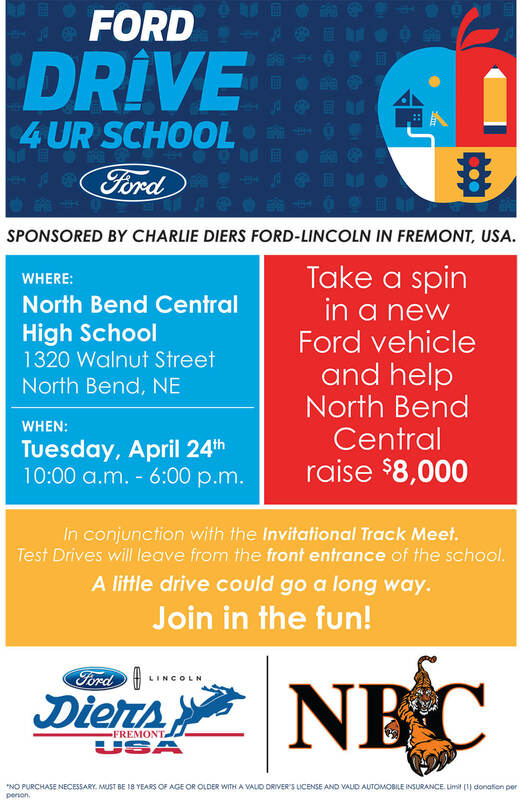 The team at Charlie Diers Ford Lincoln has surpassed 5,000 test drives for the community resulting in more than $100,000 being pumped into area schools and non-profits for athletic equipment, computers, scholarships, field trips, student travel, bus gas and programming!